The solar and wind energy industries are in an "all-or-nothing" marketing campaign against coal and natural gas. At present the solar and wind energy industries have no commercial energy storage option to offer. The CSIRO, GE Global Research and others are creating technology that solves all recognised issues. This technology is steadfastly ignored in media reports. A combined cycle gas turbine (CCGT) power station fueled by natural gas that has been converted to syngas by solar thermal energy delivers 20 per cent renewable energy at the reliability and similar cost of a natural gas-only fueled CCGT power station. Replace the natural gas with bio-methane and this power station will deliver 100 per cent renewable energy at the reliability and similar cost of a natural gas-only fueled CCGT power station. Capture half of carbon dioxide collected in the bio-methane production process and this technology REMOVES carbon dioxide from the atmosphere. This is environmentally superior to both wind and solar technology. 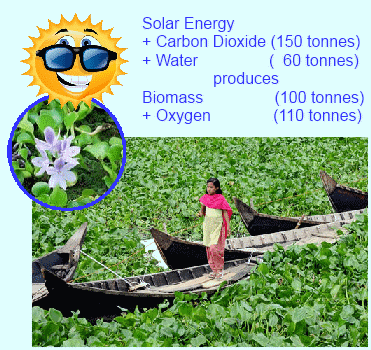 SolarGas technology could help India’s efforts towards achieving energy security. SolarGasTM technology was developed by Australia’s national science agency, the Commonwealth Scientific and Industrial Research Organisation (CSIRO). The potential to produce solar liquid fuels for transport. You will soon be able to inspect such a power station. It is to be constructed in North Western Australia. See "Deployment of combined cycle using solar reformed gas in North Western Australia." (original ASI link) and "Development of combined cycle using solar reformed gas" (recent ARENA link).